In March, Wayne State Celebrates Social Workers! March is National Social Work Month. In honor of this, the Wayne State University School of Social Work would like to use this month to raise awareness and support for the Wayne State School of Social Work alumni, faculty, staff and students who work each day as leaders, advocates and champions of our communities and profession. 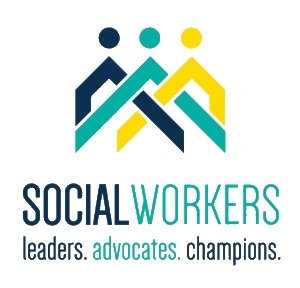 This year’s theme is “Social Workers: Leaders. Advocates. Champions”. According to Maxine A. Thome, PhD, LMSW, ACSW, MPH. 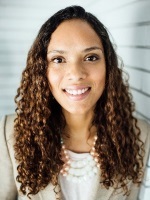 Executive Director of the NASW-Michigan chapter “The services of social workers are needed now more than ever as the nation grapples with issues like income inequality, the opioid crisis, environmental justice, and the continued struggle for human rights for all. During Social Work Month, we hope you will take time and look to the future for the change we will make working together." There are thousands of Wayne State alumni who are making a difference and we are proud to profile two of those amazing alumni with you today. 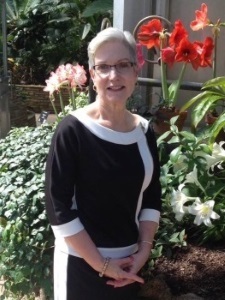 Below you will find the story of Penny Thomas BSW’82 and Jacqulyn Hippe MSW 17’. Also, for the month of March we are looking to make a difference for our current students and future social workers with a Social Work Awareness crowdfunding campaign to raise support for our students. All gifts will go toward student scholarships and we are hoping to get 50 people to make a gift of support in the month! You can visit our crowdfunding page HERE and make your gift today! I was a teenage mother who dropped out of high school at the age of sixteen. I attended Wayne County Community College and then wanted to be admitted to the School of Social Work at WSU, as I had decided that was the career that I wanted to pursue. I had no idea how my husband and I would finance the completion of my degree, but I made an appointment to meet with an admissions person at the School of Social Work. I only recall the woman's first name. It was Vicky. Vicky looked at my transcript and suggested that I apply for the Merit Scholar Award. I did make the application and was awarded the scholarship which paid for my last two years of undergrad. The day I received the scholarship was, indeed, a pivotal moment in my life. I earned an MSW later at EMU, but my allegiance and gratitude has always been with my hometown University, WSU. I have read that most people who drop out of high school do not earn bachelor's degrees, either because of their life circumstance or because of their academic abilities. I am grateful that I did not fall into that category. I am proud to be a Warrior; receiving my Master's of Social Work from Wayne State University has allowed me to walk in my purpose. I chose Wayne State University, to pursue my macro concentration in leadership and community development, to have a chance to study and learn in an urban environment. A location where I could fulfill the mission of social work of enhancing human well-being, assist in meeting community members' basic needs, and empower people who are vulnerable, oppressed, and living in poverty. While studying in the city of Detroit, I was able to participate and witness the innovation, grit, and willingness for positive change in the eyes of community members. As a social justice advocate, focused on ending the prevalence of violence against women, girls and men, I was thankful to have the experience of working with the Youth Empowerment Solutions for Healthy Relationships: Engaging Youth to Prevent Sexual Violence (YES-HR) research project with Dr. Kernsmith and Dr. Smith-Darden during my graduate experience. This project allowed me to engage with youth and identify the student's risk and resiliency factors. My professors, like Dr. Comartin and Dr. Smith, instilled in me what it takes to be a community leader and provided me the tools to be steadfast in positive community change. I am very thankful for my advisors, like Tamarie Willis, who supported me throughout my journey at Wayne State University and saw my personal social work mission of creating a safer and healthier community. As a Community Advocate and Counselor at LGBT Detroit, I am able to help LGBTQ survivors of violence empower themselves and find techniques to lessen the impact of violence on their lives in the future. As a part of the program planning and implementation phase at LGBT Detroit, I am able to use my macro-level social work skills to assess the needs of northwest Detroit and identify gaps in crisis intervention services for LGBTQ people of color; who are often disregarded and left out of the narrative of domestic and sexual violence. Wayne State University provided me the toolkit and connection necessary to help this program thrive. For more information on how your gift can make an impact in The School of Social Work, contact Jana McNair at jana.mcnair@wayne.edu or 313-577-4429.